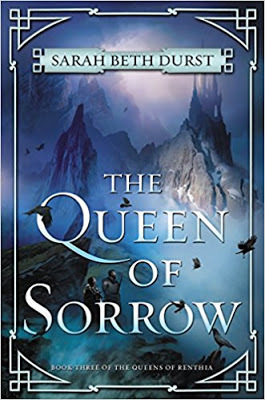 Synopsis: I loved the first two books in Sarah Beth Durst’s Queens of Renthia trilogy, so I was thrilled to have the opportunity to read a review copy of the upcoming third book, The Queen of Sorrow (out on May 15th). If you haven’t read the first two, you might want to skip this review in case of spoilers! Observations: Fans of the first two books will find this a satisfying conclusion to the trilogy, continuing the complex and believable character development of the first two as well as the action, adventure, and intriguing setting. Naelin and Daleina are both very relatable characters, with flaws and quirks that balance out their strength and power. They have love lives and families, feelings and interests beyond the paths that have been chosen for them, and they struggle to maintain normality and humanity in the face of challenges ranging from the everyday to the wondrously, frighteningly magical. There was also a twist toward the end of the book that I loved. I could sort of see it coming, but not in the sense that it was predictable—just in the sense that that was the choice *I* would have made if I’d been writing, and it was what I really WANTED to see happen. It felt very RIGHT. As someone currently struggling with some plot dilemmas, I really appreciated seeing the story build toward what felt like a natural, inevitable conclusion. Conclusion: What more can I say? A strong, exciting, page-turning conclusion to the trilogy, and another wonderfully unique world from an always imaginative author. This review is based on the advance review copy, which I received courtesy of the author and publisher. 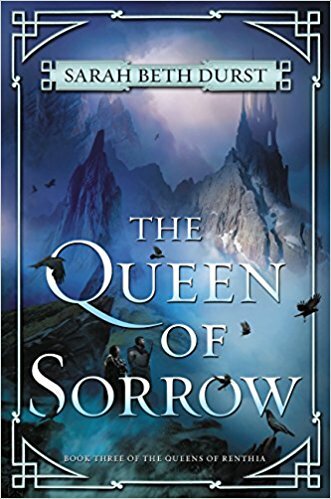 Starting on May 15th, you can find THE QUEEN OF SORROW by Sarah Beth Durst at an online e-tailer, or at a real life, independent bookstore near you!